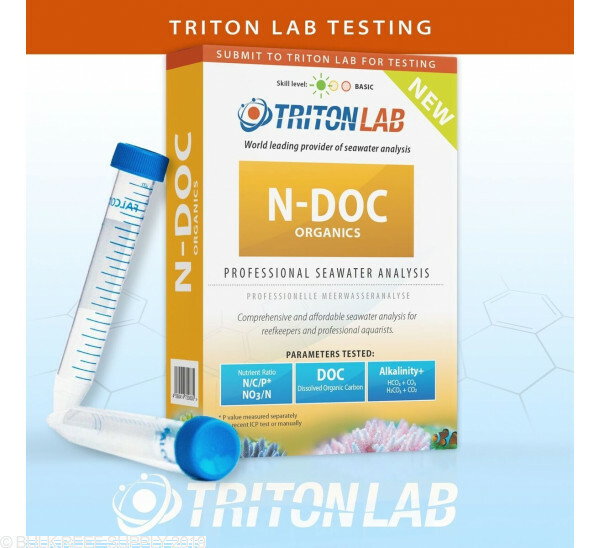 Triton N-DOC Test Kit lets you can control the balance of nutrients that influence bacteria and algae growth, but also what keeps your corals alive. Using Nitrogen, Carbon, and Phosphorus* (N/C/P) to manage your input of carbon and amino acid sources you can eliminate problems caused by blind dosing. 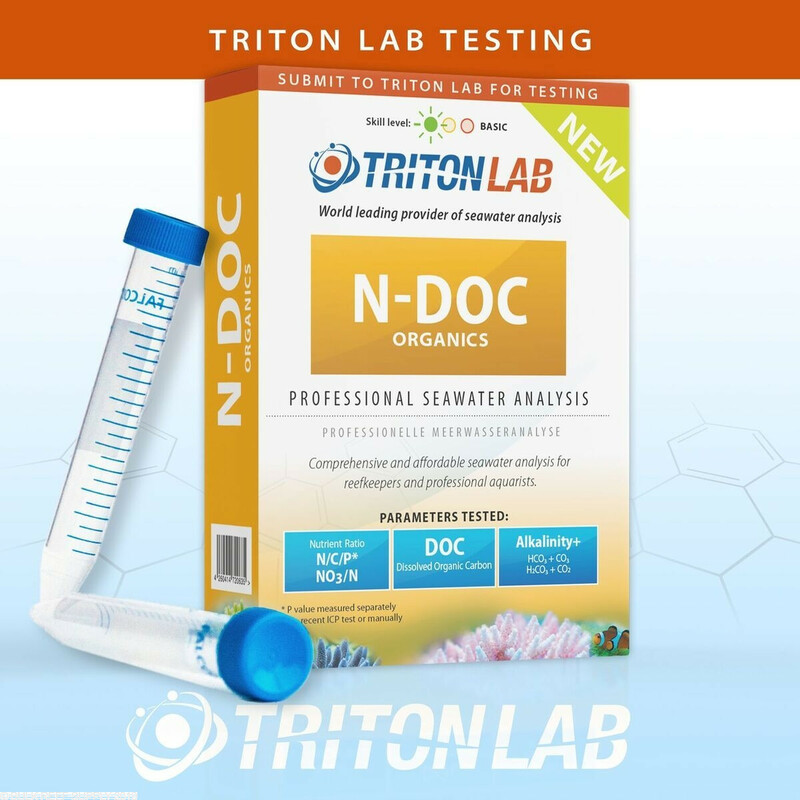 Collectively the compounds that feed bacteria and algae in an aquarium can cause major issues if they are over or even underdosed, and N-DOC Testing from Triton solves the issue by accurately measuring the relevant organic compounds that fuel bacterial and algae blooms. 1. Visit triton-labs website and register an account. 2. Inside of the test kit, there will be a barcode that you will need to connect the test kit to the account you just created. 3. Collect a sample of water from your aquarium both test vials with aquarium water three times, then filling each vial completely. 4. Place the barcodes on each vial and then put them both into the return shipping box. 5. Remove the protective film from the sticky tape and seal the box. 7. You will then start to receive email updates when the sample is received, and also when the test is completed. *Note - Phosphorus level can be measured by using a recent Triton ICP-OES Test Kit, or manually with any other test kit.